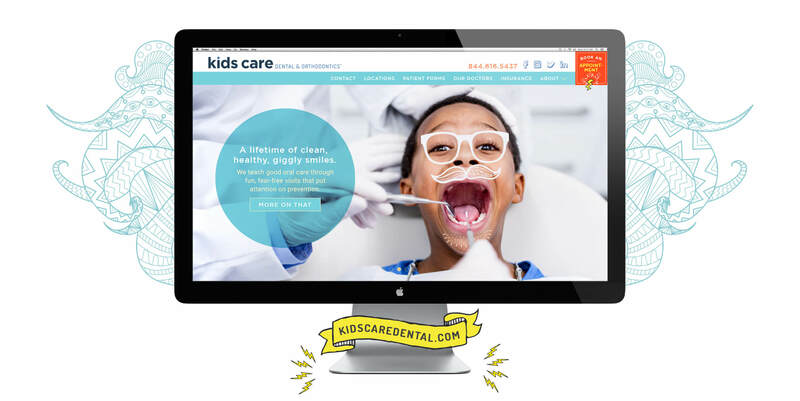 Kids Care Dental and Orthodontics is fanatical about creating a lifetime of happy smiles for kids. 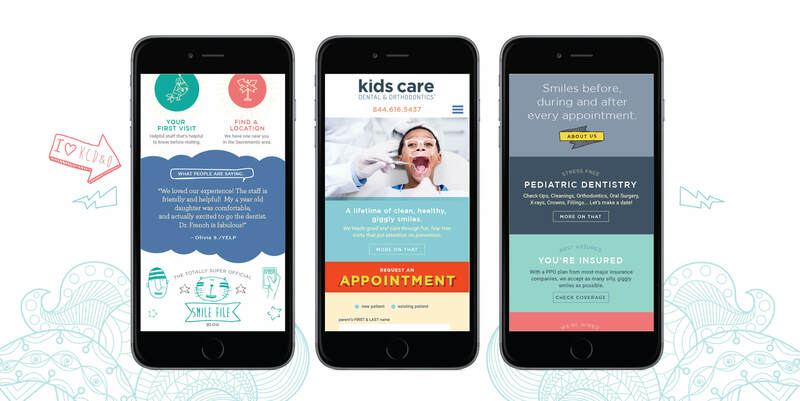 Their mission is to create joyful experiences and have every aspect of a patient visit enjoyable and fun – and Project 13 was super stoked to help make sure their brand and website conveyed this vision. 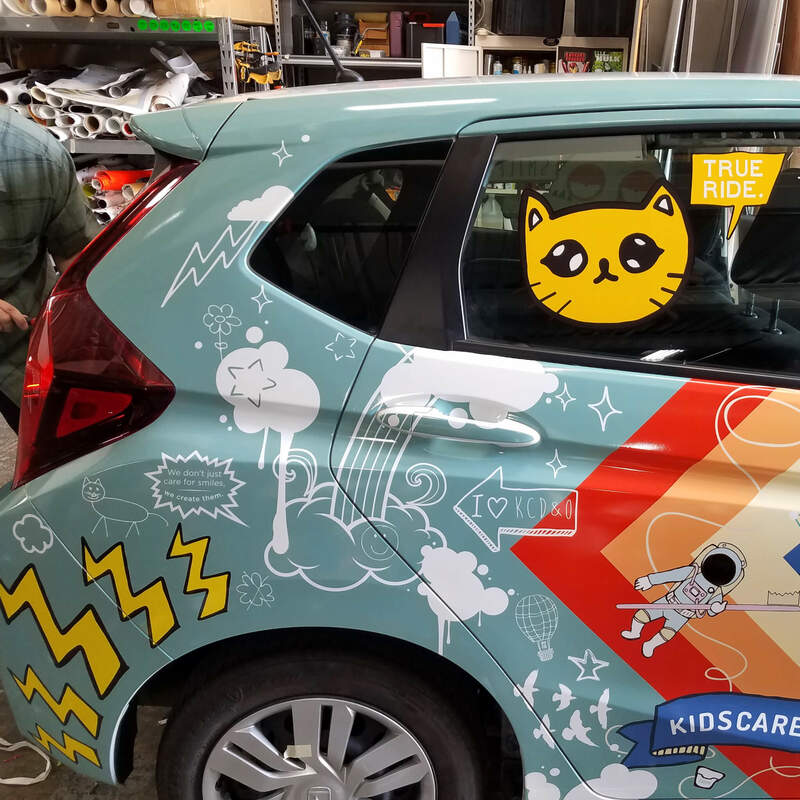 When the kind folks at KCD&O were ready to elevate their voice, look and feel, they reached out to our friends at Village Marketing – who were kind enough to bring us on board for the brand development. 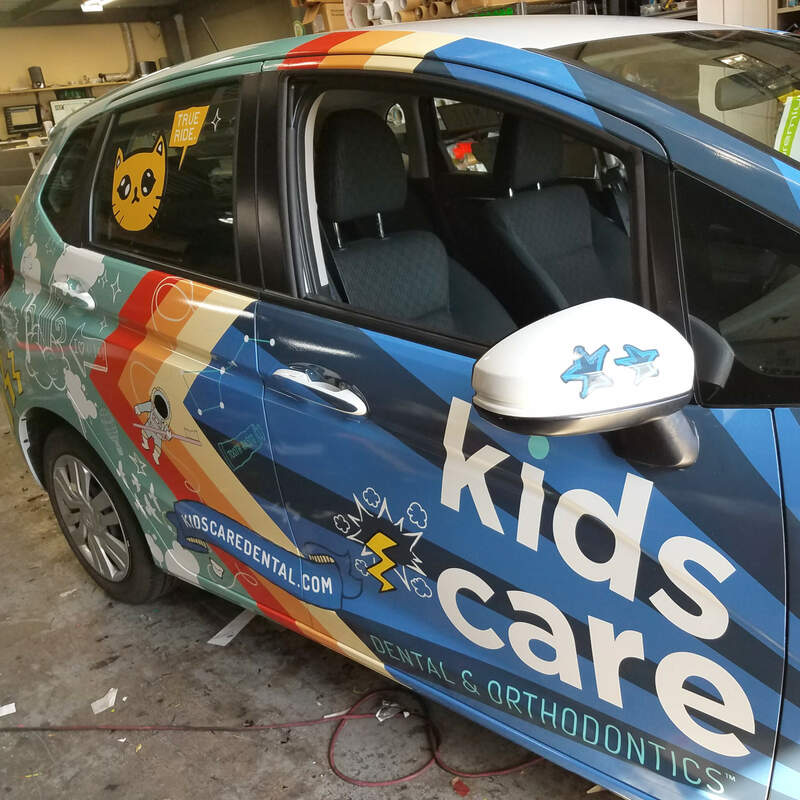 The challenge was to not only make the brand more unique and engaging but extend the brand into the KCD&O experience including a new website, print materials, interior & exterior design for their 14 locations in the Sacramento area (including modifying their existing wall murals), staff uniforms and even their company car. Oh what fun we had! A tagline Project 13 definitely took to heart. 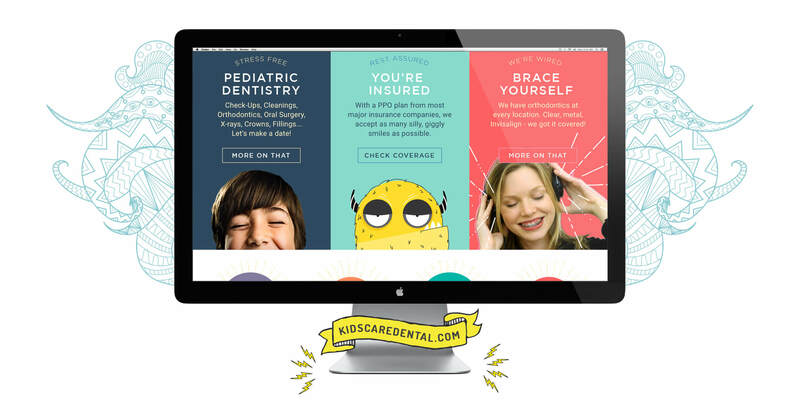 Our goal was to craft a fun and engaging brand and website that would continually create smiles – and according to Janet Widmann (the coolest CEO ever) we did just that: “You have absolutely exceeded our expectations. This is the most exciting rebrand I have ever been a part of – truly. 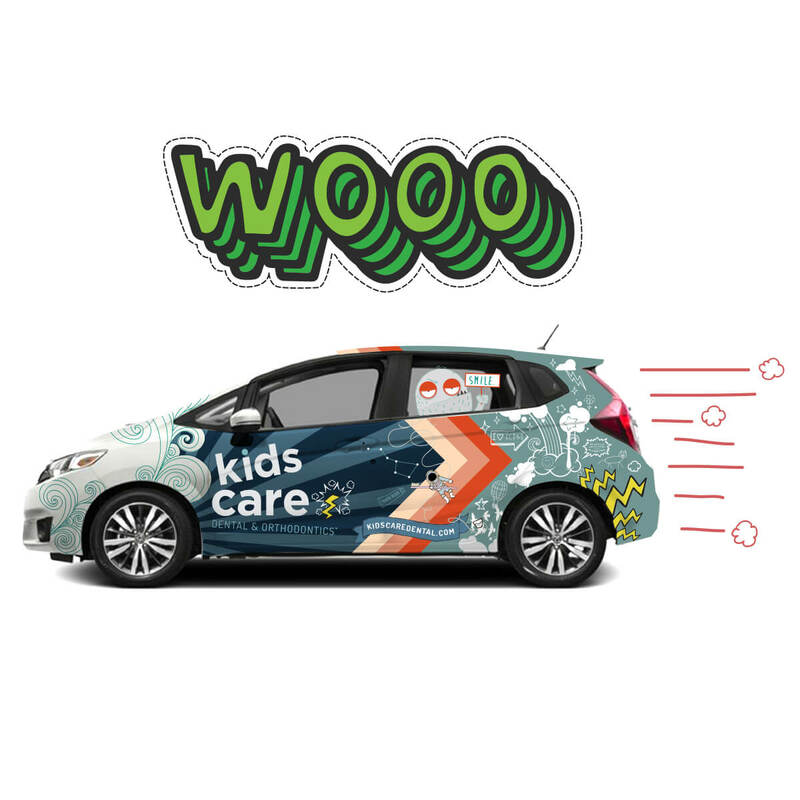 You are an inspiring, creative, fun and unique team to partner … we have quantifiable results that demonstrate increased revenue from the rebrand and have shown tremendous momentum in our busiest season”. 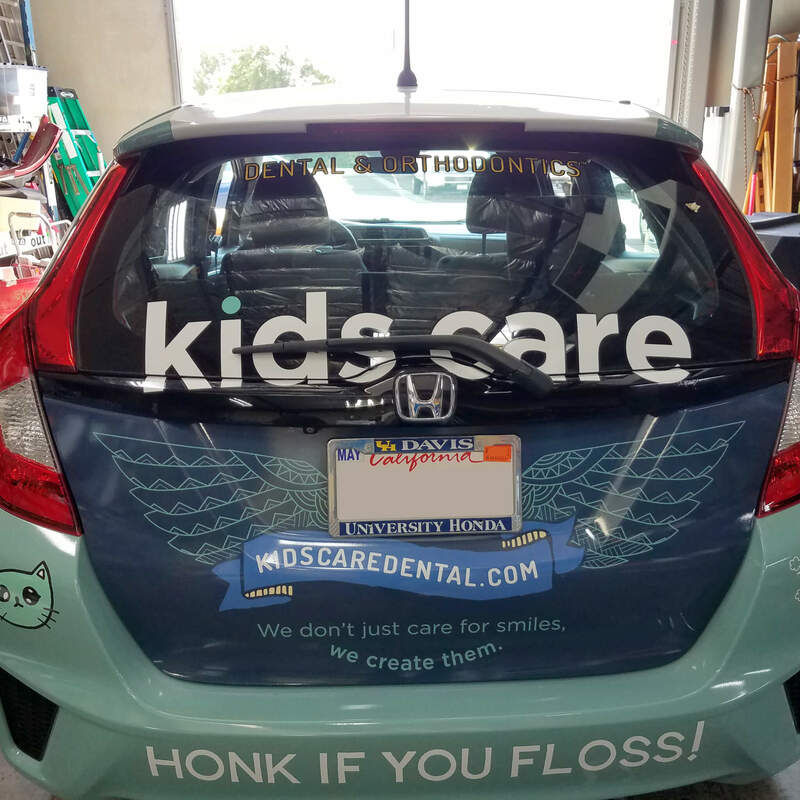 Talk about music to our molars! Totally floss-tastic! Ok – you get it. Moving on.